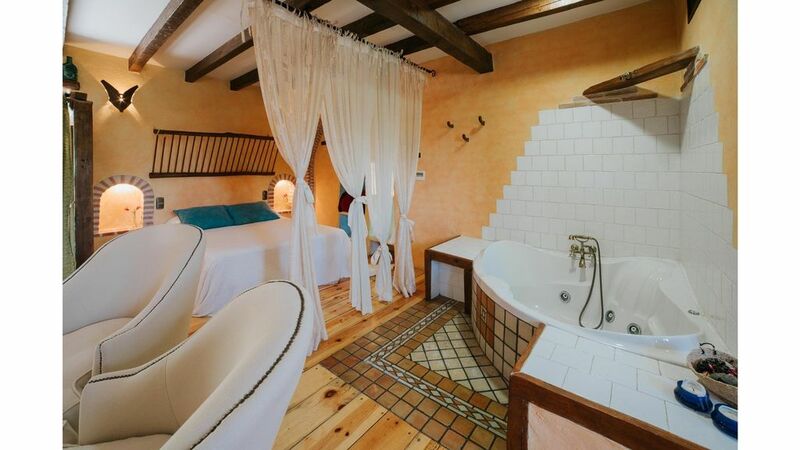 Rural apartment with double bed, jacuzzi in the room, small kitchen and living room where the fireplace is located. Services: Activities for children, Pets allowed, Cot available, Information about the area, Laundry service, Restaurant (public), Dinner service, Lunch service, Breakfast served Interior (ALWAYS WITH PREVIOUS RESERVATION) Air conditioning, Ensuite , Heating, Kitchen, Games collection, Dining room, Jacuzzi, Living room, WIFI, Television in room, Fireplace in the room. Outside: Barbecue, Garden, Garden furniture, Swimming pool (Segun temporara), Terrace, Parking area.